Lovely move in ready home on quiet corner lot in South Venice. 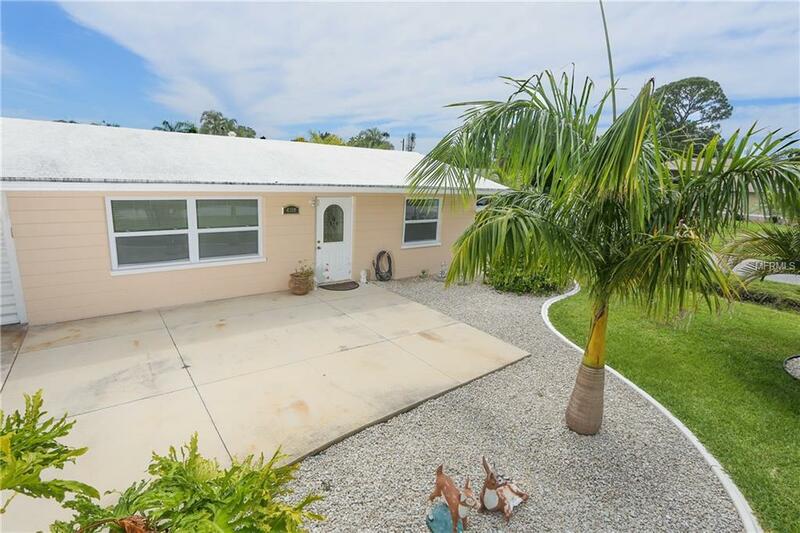 Two good size bedrooms, 2 bathrooms, lanai and garage. Fully fenced back garden with paver patio just ready for you to relax in private. Brand new roof with blown in insulation that keeps the AC bills nice and low. Enjoy everything that the wonderful optional HOA has to offer including unique hourly shuttle boat over to your private beach directly on the Gulf of Mexico. Also access to boat ramp, fishing area and kayak area. All for less than $200 per year and only 5 minutes from your house!